A pretty impressive showing by one guitarist you have to admit and proof of his reputation at the time of being one of the very greatest guitarists around. Thanks for printing this list. 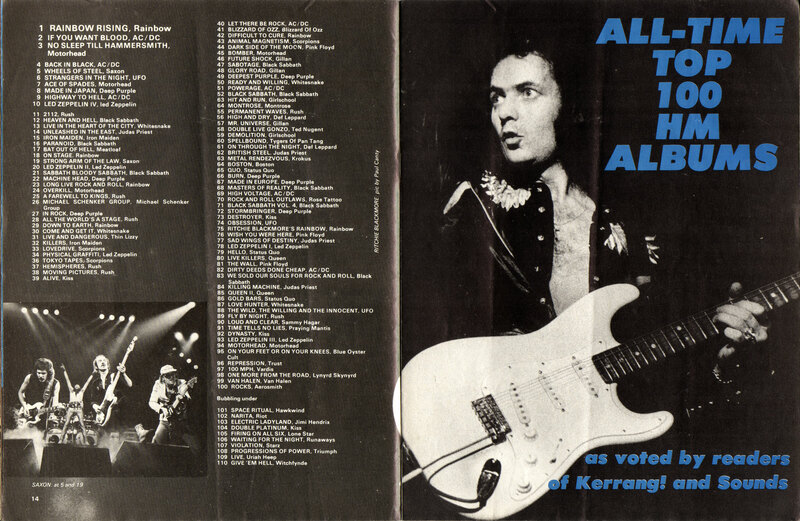 I no longer have the issue of Kerrang this was in, and indeed the list I remember was a couple of years later and topped by Iron Maiden’s Piece of Mind ( which was obviously fresh in voters’ memories at the time).